Today, it seems we text more than we actually talk to each other on our cell phones. This is even more of a reality among the younger population; the amount of texts kids send to each other nowadays is staggering. When I look back at my childhood, I had memorized the short list of home landline phone numbers to call friends or cousins who I could invite to play with me. Oh, how times have changed. This also means there’s a whole lot more of your children’s communications which are completely hidden away from you. With the vastness of the internet, there’s also the danger of outsiders communicating with our kids. Luckily, as the technology advanced, so did the tools to help us manage it all safely. Cell phone spying and monitoring software will do just that for you and more. This also applies to business owners who need to better monitor employee cell phones and laptops where specifically tailored services can help you achieve things you could only dream of, beyond text messages. The app is installed on the cell phone or tablet and the good ones magically disappear, leaving no trace of any tracking going on. 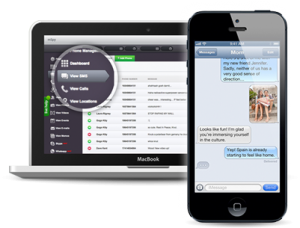 All cell phone monitoring apps at the moment offer text message logging, at least for the native phone’s SMS messages, while more advanced services will also support other messengers. Why Should You Monitor and Log Text Messages? Text messaging has become the most used mobile communication medium, surpassing actual voice calls by a tremendous amount. With that, comes a new set of challenges. 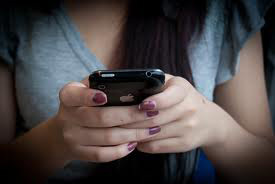 Sexting has become a thing, and unfortunately, too many avenues are left wide open for adults and sexual predators to mingle with younger teenagers and children. With programs like SnapChat, WhatsApp and regular SMS text messaging, it is impossible for any parent to have proper visibility and constantly keep a watchful eye out for their family. I often say, prevention is the best defense. With the help of spy applications, parents can read the interactions and keep track on who their kids are speaking with and how often, as well as access to pictures and videos shared. You can often set alerts to advise you if inappropriate content was shared or talked about. On the business side, employers get to better secure their company devices, while ensuring workers are not wasting too much valuable time on personal email, chat or messaging. All the while, the services also often offer tailored functions to help better secure your business assets. In the same way you can set profanity keywords, you can set specific words to alert you, better securing sensitive data or assets being leaked or sold away. The services also often offer data theft protection, in case the cell phone is lost or stolen. If you happen to be in a relationship that seems to be going sour, or have any doubts of infidelity, it also happens to be a very common reason why you would end up looking for spy software. To answer that need, I would start by saying that it is a very sensitive matter. I am not here to judge, but to inform you that spying on your spouse without their knowledge is most likely illegal where you live. Whatever you decide is up to you, but you have been warned. All these services work in a very similar way. This applies to all trustworthy and functional vendors. It’s important to know that there are many fake and malicious so-called spy apps which promise to allow you to remote install the software, at low or no cost at all. I highly advise to steer clear from those offers, as they only stand to take your money or have you download a virus. Real spy software works in the same way. First, you need access to the device, second, you sign up to a subscription service package and download the app onto the mobile device or cell phone which you are physically in possession of. Once installed, you can access the monitored logs and control the device from a private and secure online web panel for which you login on the vendor’s website, using your account credentials. Usually, I would give a brief overview of the best spying software specifically for the given application, in the case of this article – text messages. However, ALL reputable monitoring applications are capable of fully tracking and logging all native text messages on compatible smart phones and tablets. They all look very similar, with a web panel that will save and list all the SMS texts with timestamps and contact information, including names and numbers. The whole message is saved, for both sent and received texts, which you can access and read at any time you want. However, not ALL spy apps are good or equally as valuable. Many services lack advanced features, yet still cost the same price, while others are simply overpriced. As I mentioned, these programs can do much more than just log text messages for you. Parents, for example, can setup alarms to notify them if certain pre-set keywords are used, if adult or obscene websites or content is visited / shared, or even stuff like GPS tracking to ensure your kid gets home, or that a worker is staying on route while on the road. The software can help in a variety of situations, helping improve productivity, or serving as an online nanny or bodyguard for your children. With that said, after being a daily user for years and testing all the best vendors one by one, I would highly suggest to pick from one of our top 3 services, mSpy, MobiStealth or FlexiSpy. For parents who need to monitor text messages on iPhones or iPads, mSpy and Mobistealth offer a jailbreak free solution that uses iCloud. Worth looking at for parents who don’t want to mess with the technical side of jailbreaking Apple devices. We have tested and reviewed the best spy apps available on the market at this time, and suggest you read some of the top spy app reviews on our site before making your purchase, or even better our complete guide if you’re still a newbie. If I have not covered enough information to answer all your questions, I invite you to leave a comment below or send an email, and I will answer it as soon as possible. We wish to help guide you better to make a selective choice of service to ensure all your needs are met, and that you end up satisfied. With hundreds of different applications and offers found all over the web, it’s easily possibly to fall into one of the scams or traps, hence, we hope our blog has brought good value in helping you make an informed purchase for spying and tracking software services.